DECO celebrates three years in business on August 1st and we will be marking the occasion with some great news and a lot of fun. From the beginning, our team has worked in renewable energy, water management, and green technology. We’ve installed more than 40 rain barrels throughout Allegheny County and other Green Infrastructure projects with partners like Seed Aquaponics, LLC. We have piloted innovative work in soil, water, and air testing for the urban setting. As educators, we’ve shared this work in an educational setting with youth at local schools, libraries, and several universities through STEAM and Maker activities. 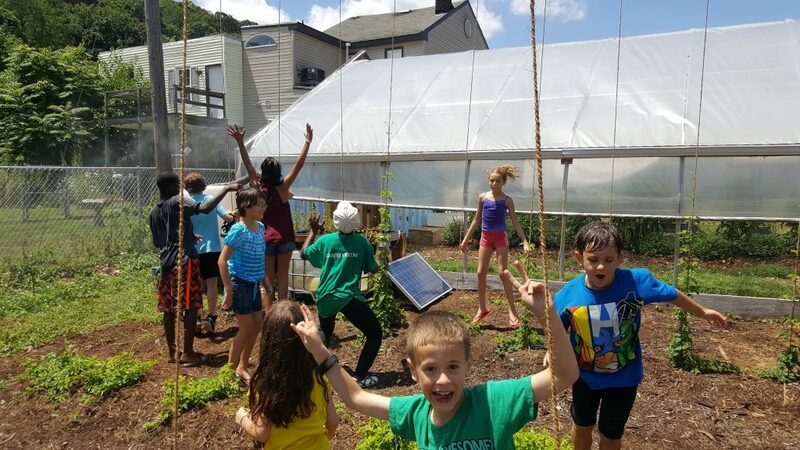 Most recently, we have completed the design for a solar-powered aquaponics system that uses captured stormwater to grow fresh food and hosts free community WiFi. 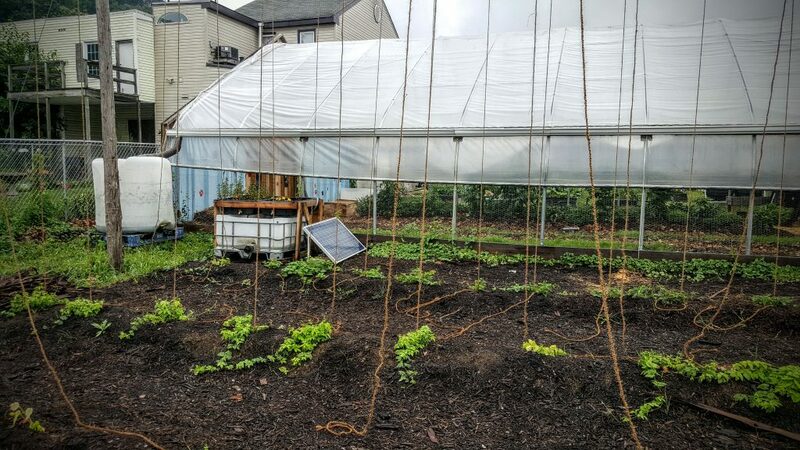 In a working partnership with the Gardens of Millvale and Meta Mesh Wireless Communities, we have successfully launched the demonstration of this cutting edge technology. The WiFi network shares unused bandwidth from our workshop at the Open Floor Maker Space in Millvale. 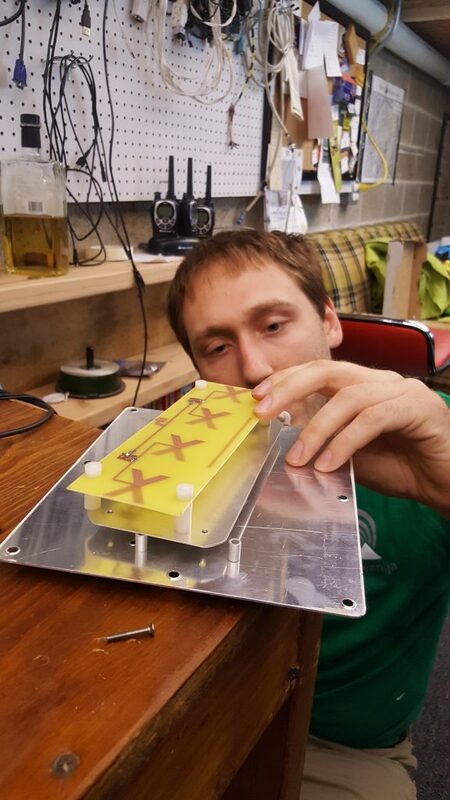 From there, we developed an off-grid, wireless solar node that captures and repeats the signal using the PittMesh network. 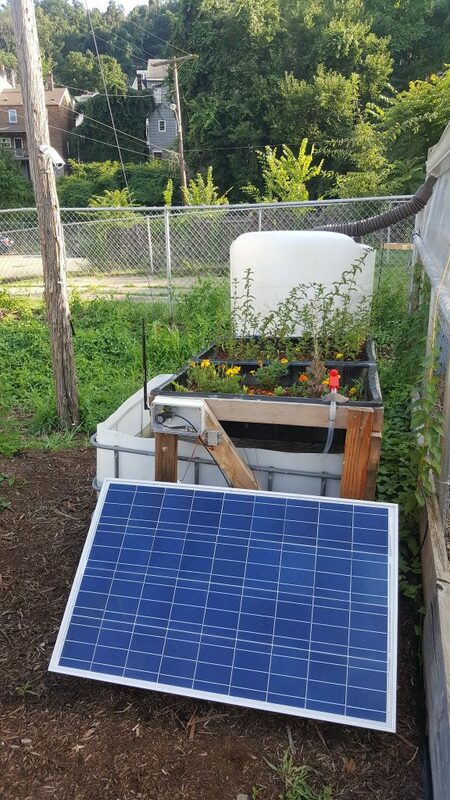 Watch “Pairing Community-Driven Solar Powered Aquaponics with Public WiFi” by Haggerty Media. We are excited to invite you to visit us to learn about our recent work at the Gardens of Millvale on Saturday, August 6th, from 2-5:30 pm during the Girty’s Run Watershed Celebration. 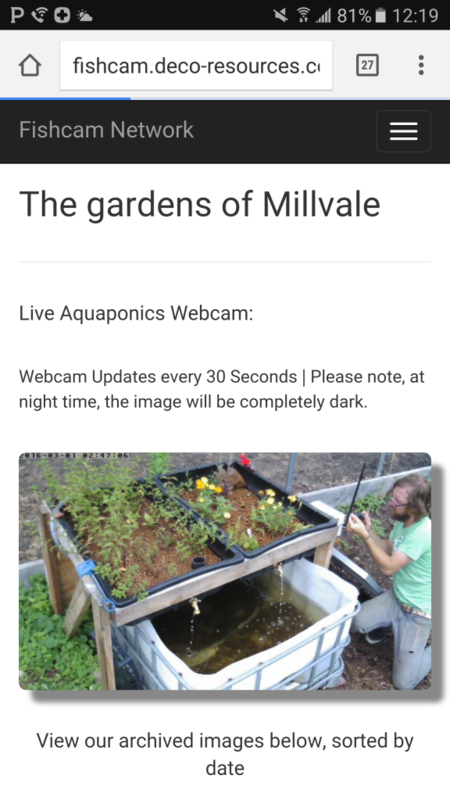 The event, hosted at the Millvale Community Center, will feature fun activities that showcase the Watershed and local efforts to improve water quality for the stream, including our aquaponics system. If you can’t make it to the garden on the 6th, you can visit remotely by using a fun demonstration of our tech. We can take you into the garden electronically using a camera that is powered by solar and connected via the PittMesh network. The camera is used to test system functionality, like whether the data connection is working or to show when the pump is on or off. It also serves as a proof of concept for collecting other environmental data, like air and water quality. Visit the FishCam to see the system on your computer, tablet, or mobile device. We are excited to announce this new technology, made possible through collaboration and partnerships throughout the Pittsburgh region. Our team has been working to support the growth of aquaponics technology for half a decade and we’re thrilled that it is expanding quickly. Pete and Nancy of the Penn Forest Natural Burial Park have commissioned us to build a commercial system that will treat a stormwater lagoon on their site. Their system is expected to come online in mid-August and we have other prospects lined up. Contact us for more information on stormwater management resources, renewable energy technology, or to learn how we can improve your project through sustainable best practices.